In commemoration of National Small Business Week, we are covering some facts on U.S. businesses. Most small businesses are pass-through businesses. A pass-through business is a type of business where the owner pay the tax on his or her individual income tax return. According to 2011 Census data, pass-through businesses employ 55.3 percent of the private sector work force of 119 million people. This represents approximately 65.8 million workers and business owners. Employment by pass-through businesses varies by state. 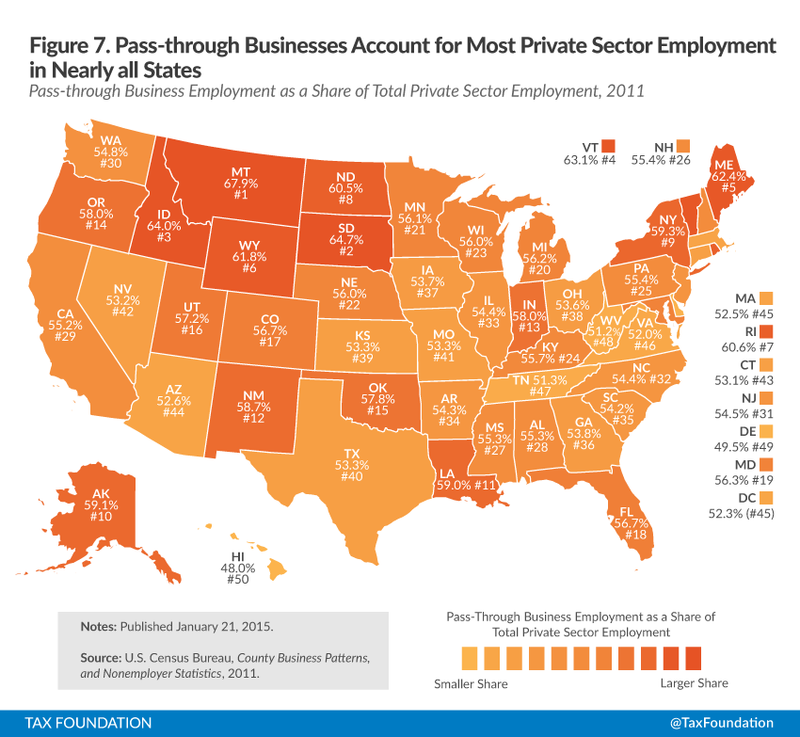 However, pass-through businesses employ most of the private sector workforce in 48 states. In eight states, pass-through businesses account for more than 60 percent of employment. Pass-through businesses employ 67.9 percent of the private work force in Montana, 64.7 percent in South Dakota, and 64 percent in Idaho. Hawaii (48 percent) and Delaware (49.5 percent) are the only states where corporations employ more workers than pass-through businesses. See here for the top tax rates paid by pass-through businesses. See our report for a more in depth look at pass-through businesses.